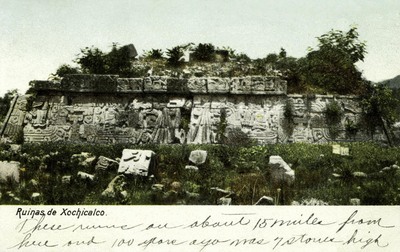 "Miacatlán – Ruinas de Xochicalco"
One color postcard with an undivided back. The postcard was published by J.G. Hatten in Mexico City, Mexico. These ruins are about 15 miles from here and 100 years ago was 7 stones high.